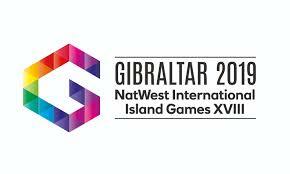 Isle of Man Athletics is pleased to announce a team of twenty eight athletes for the 2019 Natwest Island Games, which will be held in Gibraltar from 6-12 July. Oliver Lockley who won the 10000m title in Gotland two years ago will seek to improve on his individual Silver medal in the Half Marathon whilst attempting to retain his Island Games Half Marathon Team title with new Half Marathon team mates Alan Corlett and Max Costly, both medal winners at previous games. Max Costley will also be competing in the 3000m Steeplechase and will be looking to improve on his previous bronze medal. Hannah Howard and Elissa Morris return to seek to retain their Half Marathon Team title, with the Isle of Man Team also defending the womens 4x100m and 4x400m relay titles. Gotland medalists Rachael Franklin and Bethan Pilley return to improve on their Silvers in the 1500m and Long Jump respectively whilst Hannah Riley, competing in her 9th games, will look to improve on the Bronze she won in the 100mh in Gotland. The team is a blend of previous medal winning and established senior athletes who have competed at the games on many occasions along with a number of development athletes who will be competing at an Island Games for the first time. This approach has been the successful model from previous games. The Isle of Man Island Games Athletics Team is kindly supported by Full Factory Winnerswear. Tom Partington won the Race walk in a big PB of 43 mins 56.9 secs. Adam Cowin in second also produced a great PB 45.19.3 with Dave Walker in third place 56.40.8. In the women’s event Hannah Hunter took the honours in 52.06.4 with Jayne Farquhar and Marie Jackson having a race long duel to finish 2nd and 3rd respectively in 60.51.2 and 60.56.9. Alan Corlett won the run in a PB of 31.23.4 with Jamie Beaman smashing his best ever to come second in 35.31.7. Newcomer to the sport Louis Morris came a fine third in 36.23.0. In the Women’s event Elissa Morris ran well to finish in 37.55.4, a track PB, while Gail Griffiths and Ciara Hardisty pushed each other all the way with Gail coming out on top for second place in 40.18.9 from Ciara’s 40.28.0. There were also 5km and 3km races within the 10kms with some fine performances recorded. Full results can be seen in the attached and a full report will appear in this week’s Manx Independent. 30 athletes took part in the event and an impressive 26 track PBs were recorded. Thanks go out to all the officials for ensuring the event went ahead on a very cold Monday evening.